Governor will raise money for Senate race in Dallas Tuesday. Gov. 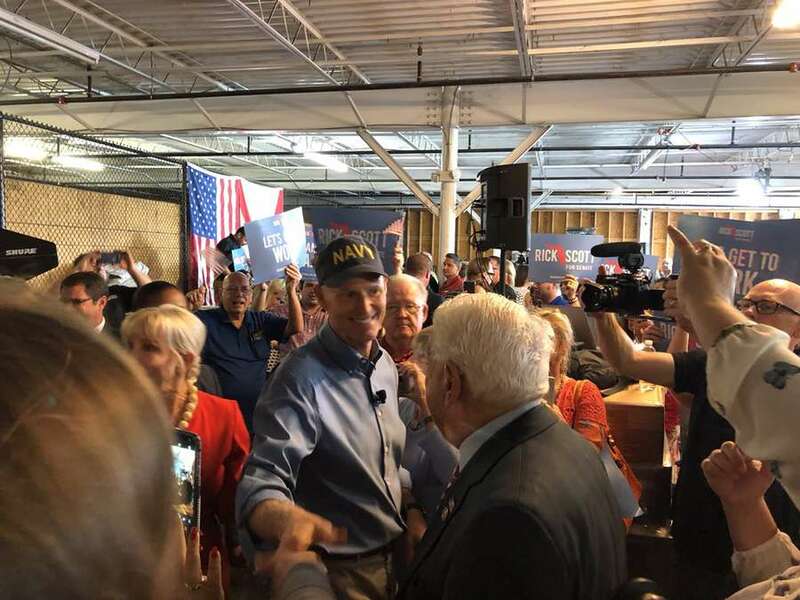 Rick Scott traveled to Dallas Tuesday for a fund-raiser for his U.S. Senate race, and the host committee is dotted with Republican mega-donors who have Texas-sized political connections. Some, like Robert Rowling, made fortunes in oil and gas, and he also owns the holding company of Omni Hotels & Resorts. A business journal said his net worth was $6.5 billion a couple of years ago. He reached "super donor" status in the 2012 election with $6 million in donations. Jack Furst is a Dallas venture capitalist in oil, gas and real estate, who also teaches college finance courses. Trevor Rees-Jones founded Chief Oil and Gas, a company that struck it rich at fracking, according to a story in D Magazine. Scott has many ties to Texas. He attended law school at Southern Methodist, worked as a mergers-and-acquisitions lawyer in Dallas and co-founded Columbia Healthcare there in 1987 by buying 50 percent shares of two hospitals in El Paso. Columbia/HCA became the world's largest health care company and later paid $1.7 billion in fines and penalties for Medicare fraud, a major issue in both of Scott's successful campaigns for governor. In his first term as governor, Scott had a "bromance" and competition for jobs with former Texas Gov. Rick Perry, who made an unsuccessful run for the 2012 presidential nomination. Others helping Scott raise money in Dallas are Tom Hicks, former owner of the Texas Rangers baseball team (Scott himself was once a minority owner); H. Ross Perot Jr., son of the former third-party presidential candidate; and Dallas businessman Doug Deason. Deason gave $3.5 million to the SMU law school for new criminal justice research, a gift matched by the Charles Koch Foundation that supports an array of conservative causes. The Kochs and their political arm, Americans for Prosperity, have supported Scott despite AFP's criticism of Enterprise Florida Inc. (EFI) a for giving "corporate welfare" to businesses with tax breaks. Deason and the Kochs shared a belief in reducing minimum mandatory prison sentences for people who committed non-violent drug crimes. Deason gave $10,000 last year to the Fund for Florida's Future, a state-level PAC in Jacksonville that's aligned with U.S. Rep. Ron DeSantis' candidacy for governor.